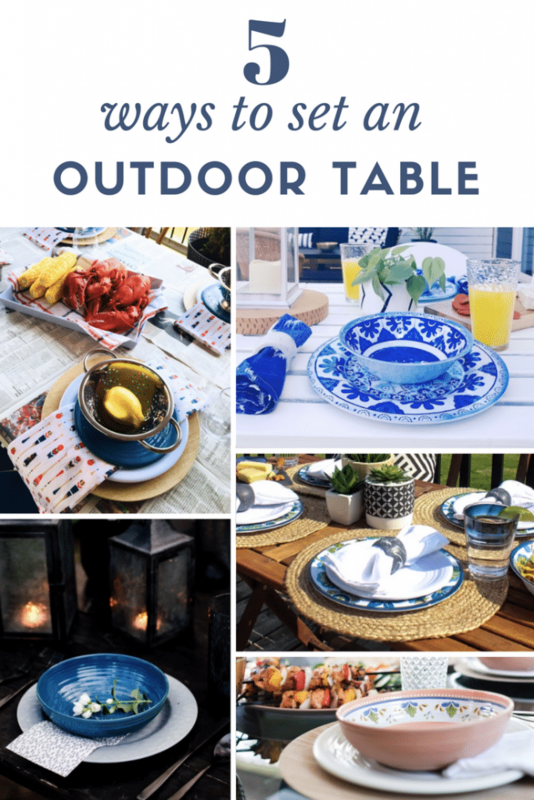 Want to throw a dinner party out on your patio? 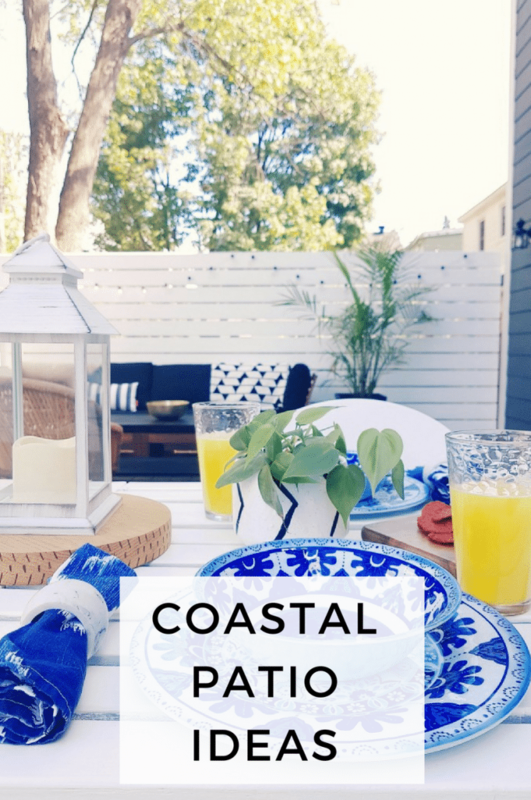 Here’s my take on how to create a coastal outdoor dining room that is pretty AND easy to pull off. Let’s rewind for a sec on our back deck progress. 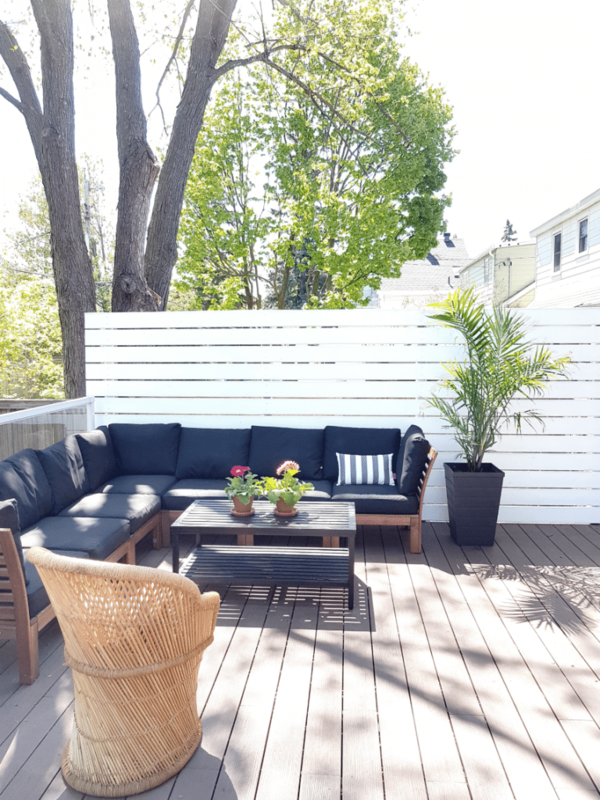 We built our DIY privacy screen and added an IKEA sectional to that side of the deck (which you can see below), but hadn’t tackled the dining area of the deck at all. We obviously needed to start with a dining table. 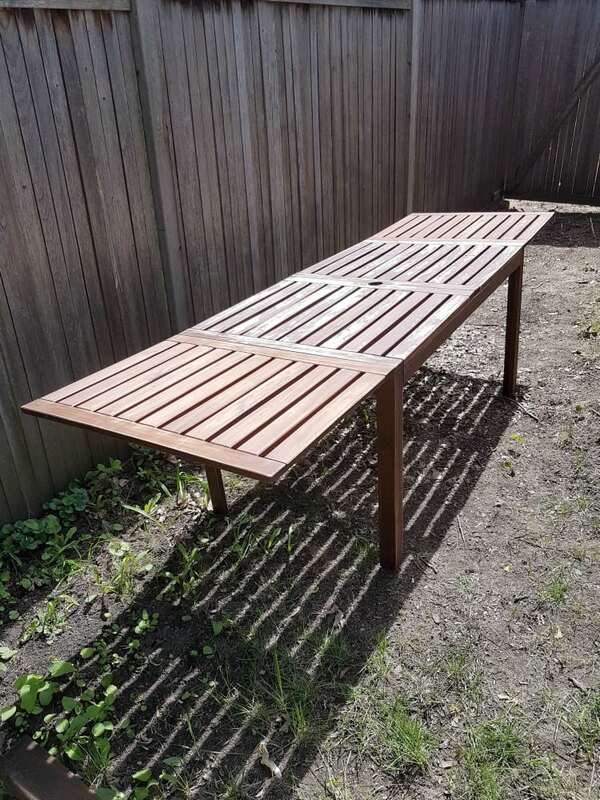 I came across the IKEA table that matches our sectional on Kijiji for a steal. It had seen better days and had quite a few scratches, but since I wanted to paint it white, that was no biggie. I used the same outdoor white paint that I used for the privacy screen and gave it a few coats of paint (after sanding it down). It turned out really nicely. I’ll update you on how it holds up over time. 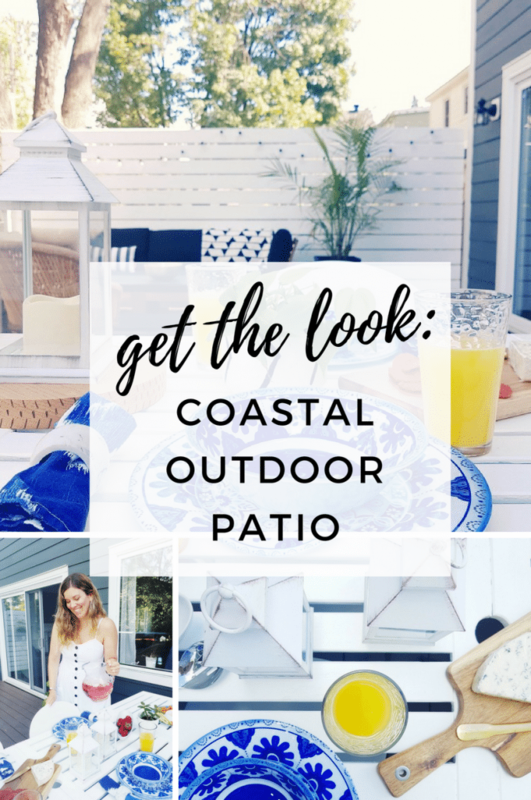 To get that coastal vibe I partnered with Canadian brand, Kitchen Stuff Plus (KSP), to create the look. I layered on a ton of whites and blues, greenery, and some wood pieces. 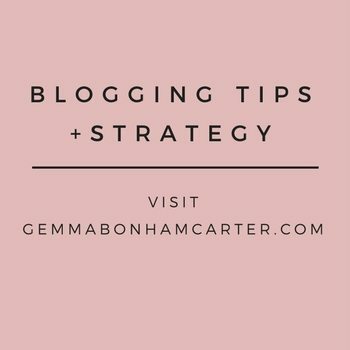 Super easy, affordable, and quick! Pssst – keep reading to snag a 20% off coupon to KSP. I started with these LED outdoor lanterns. They have that distressed white finish and I love that they are battery operated. Just flick a switch! Then I brought out some of my own green plants. That’s an easy trick if you don’t want to spend money on fresh flowers: just bring some of your planted pots from your home outside. Instant centerpiece. I’m OBSESSED with this acacia wood cutting board. 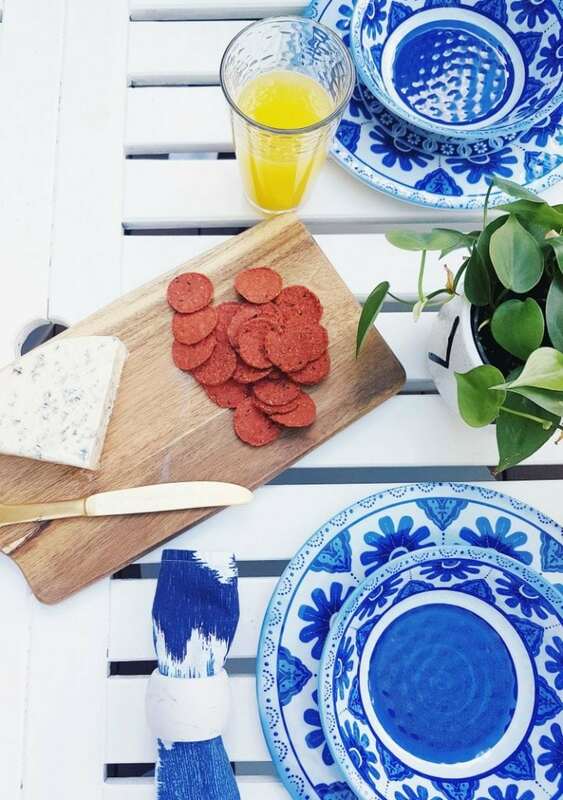 Laying it out in the middle of the table with cheese and crackers is easy, but looks all kinds of Pinterest-worthy. 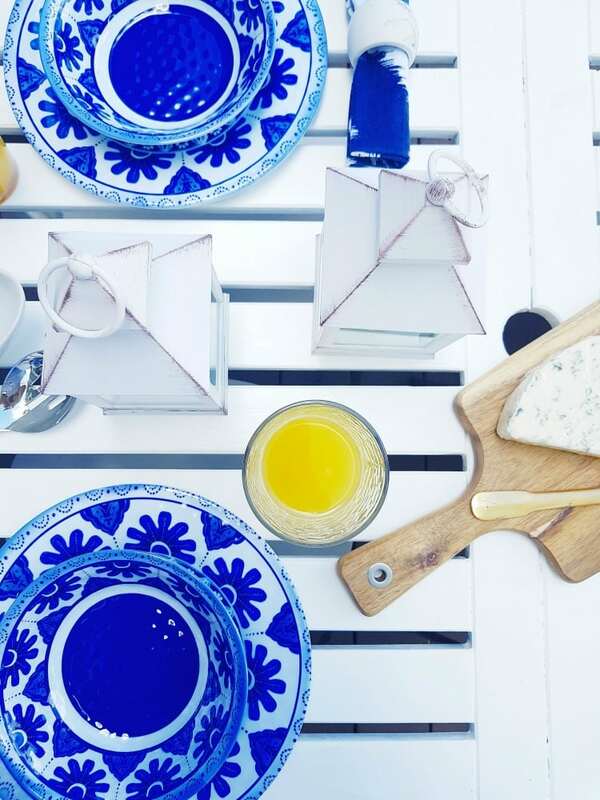 This blue and white patioware set definitely has that coastal thing going on. The plates and bowls matched some napkins I already had. 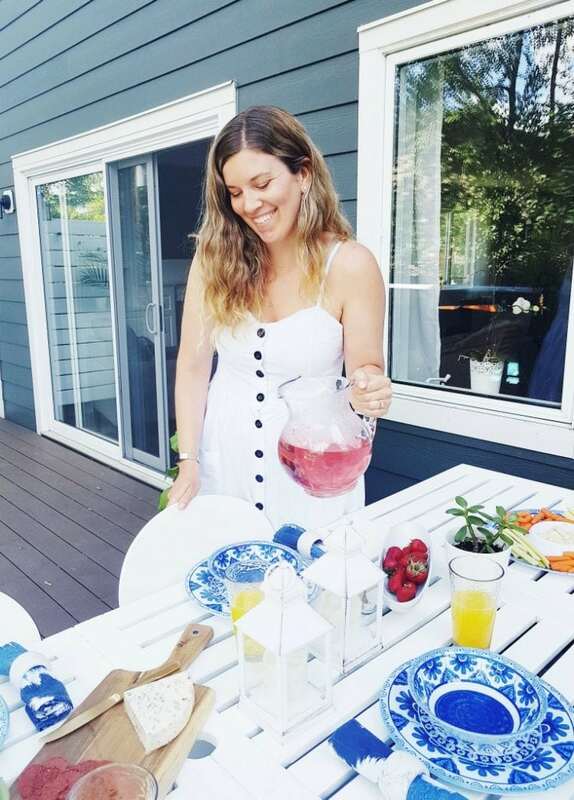 Oh did you spot those marble-look napkin rings? Just give me allllll the marble. I think my fave thing though from KSP is just all the great serving ware. These oblong porcelain bowls are gorgeous, and I love having these heavy, gorgeous glasses. And this glass pitcher to go with it. I like investing in pieces like this that are well-made and going to last forever. Getting pieces like this in porcelain or glass, and in finishes like white or glass, mean that they will stand the test of time and go with any kind of scheme you want to create down the road. Want a 20% off coupon for Kitchen Stuff Plus? Sign up to KSP through this link for their newsletter and they will send you the coupon code! You won’t believe how great their prices are!! 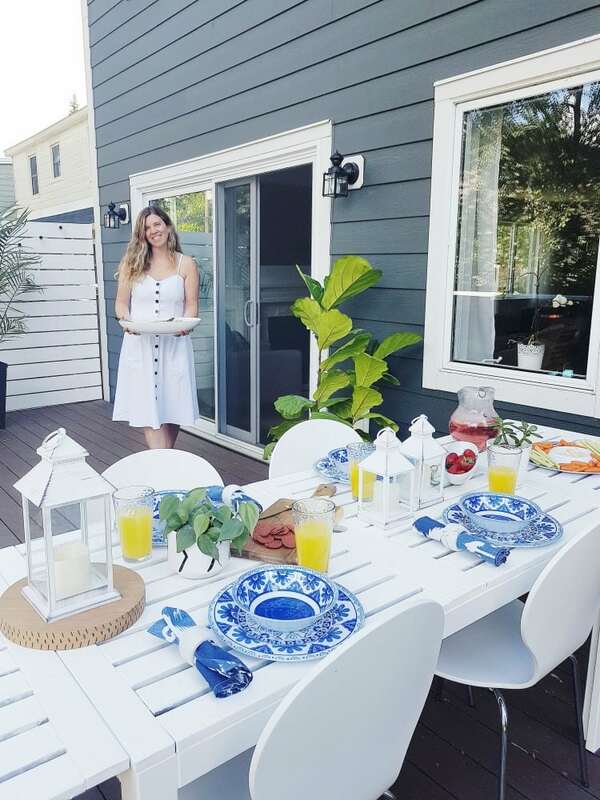 Ready to check out the rest of the gals in the Modern Home Series to see what they did with their patios? 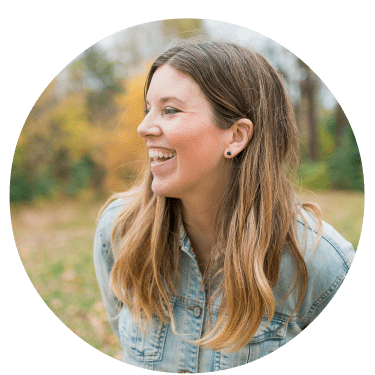 I literally had to pick my jaw up off the floor when I saw how beautiful these spaces were. Such inspiration! 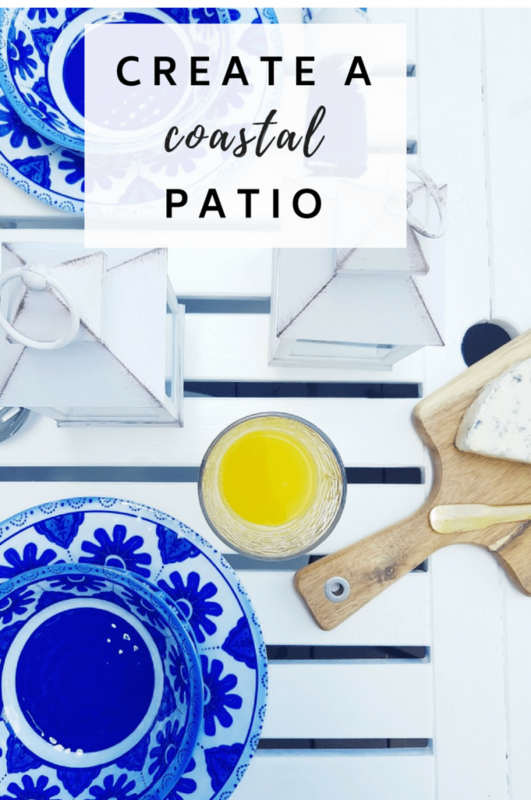 Have you decorated your patio in a beach or coastal vibe? It just makes you want to instantly relax. Love that. 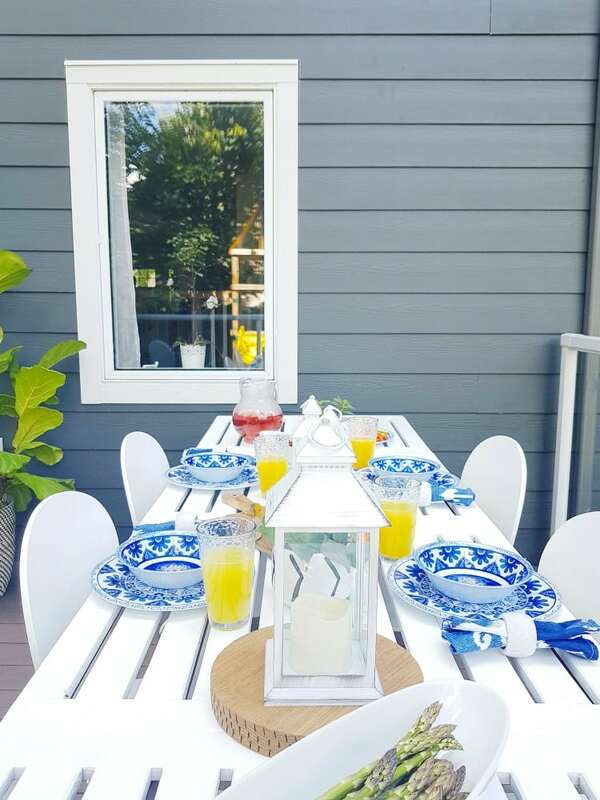 Disclosure: A big thank you to Kitchen Stuff Plus for partnering with us on this back deck project. I love working with Canadian brands! Wow! 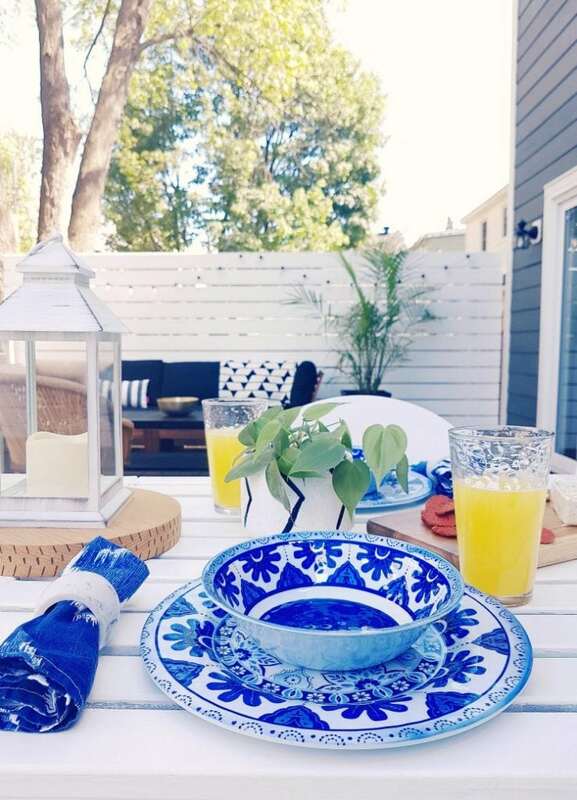 What a stunning transformation for your back deck. It looks like a dreamy oasis :) How great is the summer line at KSP this year. 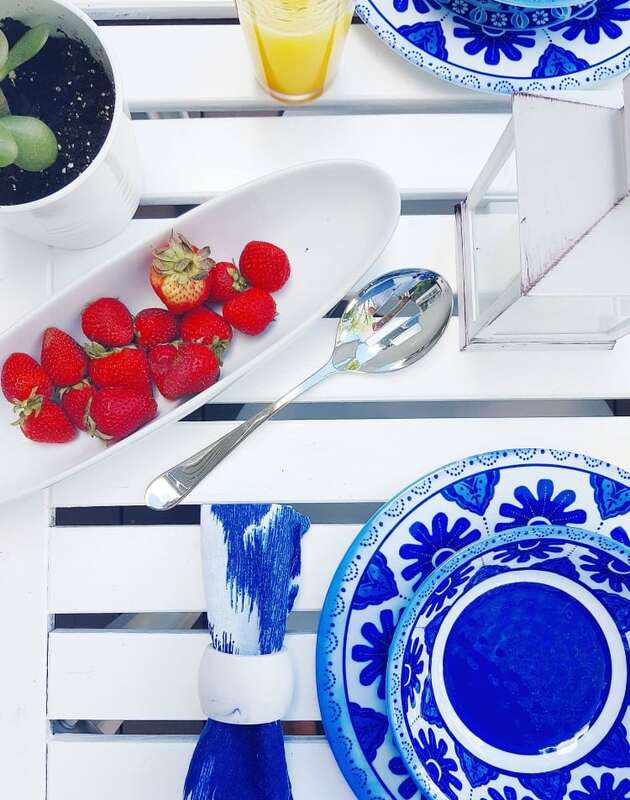 I love that pop of blue – it’s perfect for your updated space.